I'd love to know whether anyone smoked a turkey for Thanksgiving. As I might have stated before, I don't like roasted turkey (at all) but love smoked turkey. 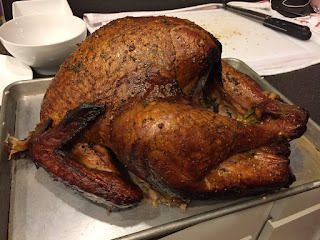 If you smoked a Thanksgiving turkey, I'd love to see pics. This week's college Gameday Giveaway is a winner-take-the-Big 12 edition of Bedlam: Oklahoma State at Oklahoma (Saturday at 11:30 AM Central). To be counted, your prediction must include the winner, final score, & total yards (total yards is in case of a tie) and must be submitted by kickoff. The prize? 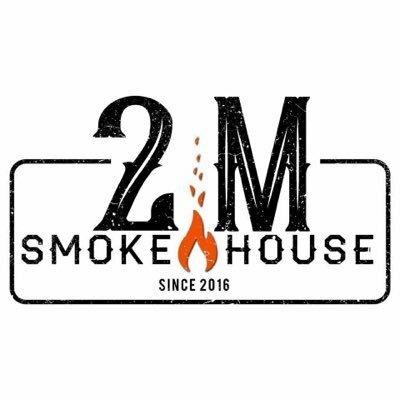 Rub and a shirt from 2M Smokehouse (San Antonio, TX)! You can enter your prediction via comment below this post, via email, or via Twitter. Today at noon Central, the Houston Texans kick off at home against the San Diego Chargers. As we do time the Texans play, we are giving away a slab of pork ribs, courtesy of Pizzitola's BBQ! There are 3 ways to enter the giveaway (no later than the end of the game): (1) leave a comment below the post, (2) tweet/retweet us, or (3) email us. Today at 3:30 PM Central, the Dallas Cowboys are at home against the Washington Redskins. As we do each time the Cowboys play, we are giving away a $12 gift certificate to Lockhart Smokehouse! There are 3 ways to enter the giveaway (no later than the end of the game): (1) leave a comment below the post, (2) tweet/retweet us, or (3) email us. 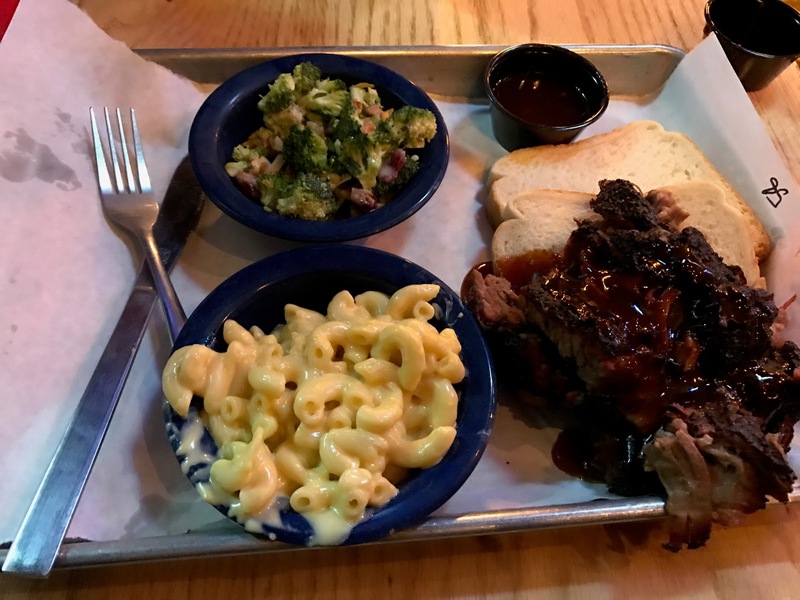 One of my Texan buddies in Denver sent a pic last night of his meal from Ol' Skool Que, a Texas-style BBQ truck in Denver. Chopped brisket, spicy sausage, beans, potato salad, and Texas toast. This week's college Gameday Giveaway is a post-Thanksgiving-day battle of Big XII teams: TCU at Texas (Friday, 2:30 PM Central). To be counted, your prediction must include the winner, final score, & total yards (total yards is in case of a tie) and must be submitted by kickoff. The prize? 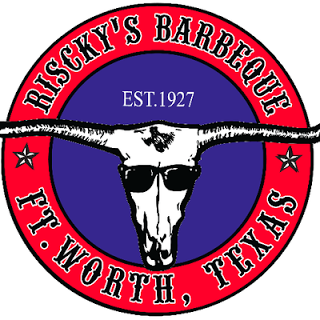 Winner gets to choose a smoked turkey breast or a whole smoked ham from Riscky's Barbeque (Fort Worth, TX)! A $49.99 value! You can enter your prediction via comment below this post, via email, or via Twitter. Today at noon Central, the Dallas Cowboys are at home against the Baltimore Ravens. As we will each time the Cowboys play, we are giving away a $12 gift certificate to Lockhart Smokehouse! There are 3 ways to enter the giveaway (no later than the end of the game): (1) leave a comment below the post, (2) tweet/retweet us, or (3) email us. A friend from out of state was in Austin for one night this week. He had dinner at Stiles Switch BBQ & Brew. A new BBQ restaurants opens for business today in Austin. Eater Austin has more on EastSide Tavern. 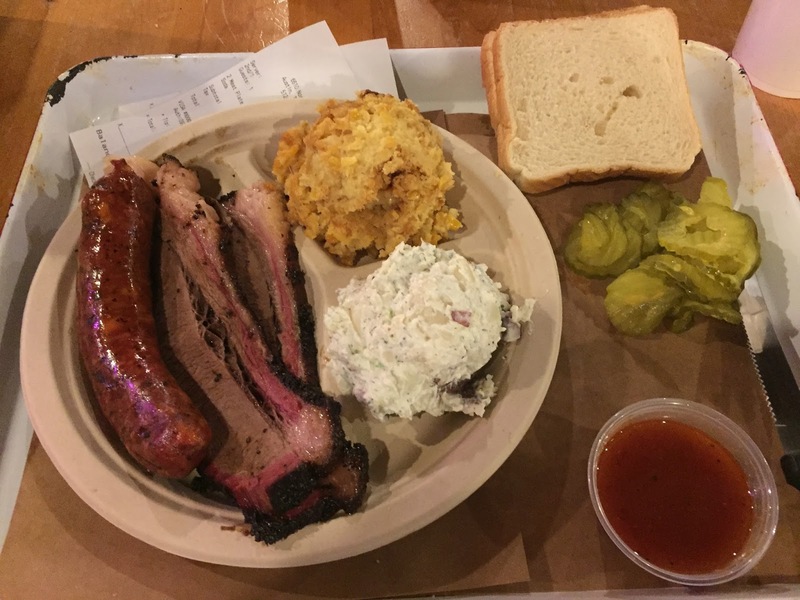 A new BBQ spot has opened where John Mueller Barbecue used to be. M-Train BBQ is open Thu-Mon, from 10:30 AM until they sell out. Eater Austin has the scoop. This weekend's college Gameday Giveaway matchup is a battle of Big 12 teams: Oklahoma State at TCU (Saturday at 11 AM Central). To be counted, your prediction must include winner, final score, & total yards (total yards is in case of a tie). To be counted, your prediction must be submitted by kickoff. This week's prize: two 2-meat plates from Meyer's Smokehouse (Elgin, TX)! You can enter your prediction via comment below this post, via email, or you can tweet it to @ManUpTexasBBQ. 215. 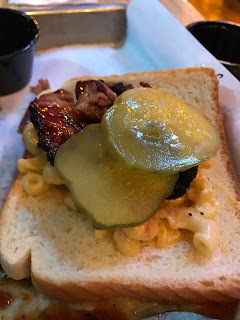 Adamson Barbecue (Toronto, Canada) - "Legit Texas barbecue in the Leaside Industrial Park"
Today at 3:25 PM Central, the Dallas Cowboys are on the road against the Pittsburg Steelers. As we will each time the Cowboys play, we are giving away a $12 gift certificate to Lockhart Smokehouse! There are 3 ways to enter the giveaway (no later than the end of the game): (1) leave a comment below the post, (2) tweet/retweet us, or (3) email us. Today at noon Central, the Houston Texans kick off on the road against the Jacksonville Jaguars. As we do time the Texans play, we are giving away a slab of pork ribs, courtesy of Pizzitola's BBQ! There are 3 ways to enter the giveaway (no later than the end of the game): (1) leave a comment below the post, (2) tweet/retweet us, or (3) email us. 213. 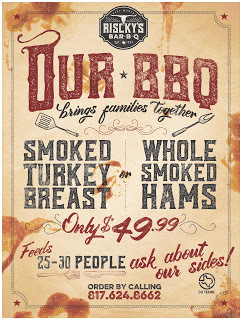 J&J Bar-B-Que (Toronto, Canada) - "Central Texas Style BBQ in the Heart of Kensington Market"